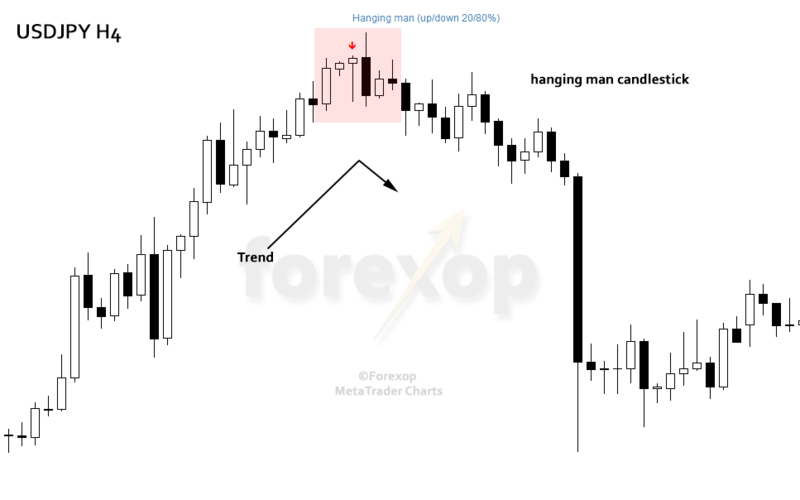 The hanging man is Japanese candlestick pattern that appears in uptrends. It can in some circumstances be a sign that a trend is about to reverse. It is closely related to the hammer, inverted hammer, and the shooting star pattern. The hanging man occurs when a single candlestick forms with a small body relative to a long lower shadow. The shadow hangs completely below the body; hence the name, “hanging man”. The candle can itself be either bearish or bullish. It’s important to realize that this pattern can appear anywhere in the chart and can be either a bullish or bearish sign depending on the location. In a downtrend, the hanging man is referred to as a hammer and in this position is considered to be a bullish reversal. The trend in which the pattern appears is often an upswing in a bearish market, otherwise known as a bear market rally. 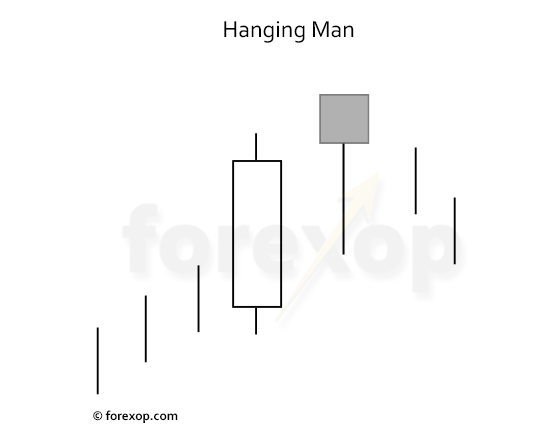 A hanging man can “gap up” which means the price opened above the open and closing price of the last candle. This is more common where there’s a market closure between the two bars. When there’s a gap present, this type may form into an evening star. This is a 3-candle bearish reversal pattern. This as a stronger bearish sign since the evening star has a confirmation that the price is falling at the final candle. The short body of the hanging man means that the price made little headway even though there was a considerable range. The long lower shadow suggests that selling pressure is there and may strengthen further. In other words, the hanging man can be a warning sign that the strength may be about to favor the sell side. If the market has already made a strong advance, then this pattern can be a red flag to buyers. Especially if other overbought signs are there. If sellers come in volume there may be a correction. This needn’t be a long term change in direction, but rather a brief pullback as the market consolidates into a higher range. The chart in Figure 2 shows a “prototype hanging man”. In this particular example the market has already made a strong upswing without any significant pullback for some time. We then see the hanging man forming just after the last bullish candlestick. At this point the trend appears to be topping out. The bearish body of the hanging man means that the market “gapped up” at the open but didn’t consolidate at that price level or push any higher. This is a red flag that suggests that this bullish rally is hitting upwards resistance. The long shadow means that the market retraced down to below the middle of the earlier, bullish candlestick as sellers increased in volume. 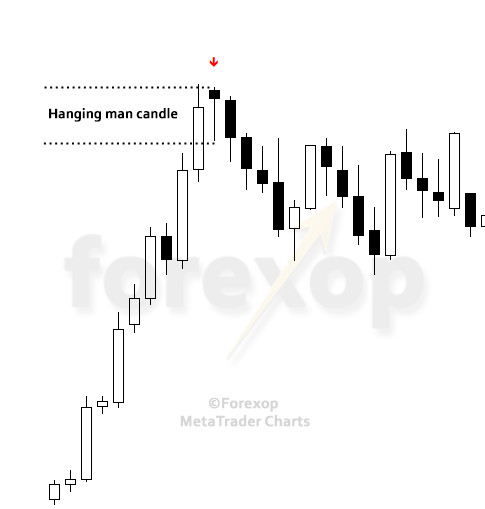 The second bearish candlestick following the hanging man gives more proof that the market may be about to give back some of the gains made, at least in the near term. This unfolds over the next few sessions. It’s seldom the case that a single hanging man is a strong enough signal to trade on. And because it is just an indication at a single point in time (one candlestick) it’s doubtful that this is going to foretell long term sentiment, but rather just a couple of bars ahead. When we trade on a bearish reversal what we want to avoid is selling when the market is in fact consolidating for a further, and possibly stronger bullish run. We must look for other confirmations. That means technical patterns, resistance areas, and overbought signals. Not forgetting fundamentals of course because these can provide an explanation for the market’s behavior. When trading a short term strategy, if we accept a “hanging man” on its own as meaning the end for a major bullish trend, this is always going to be a risky bet. 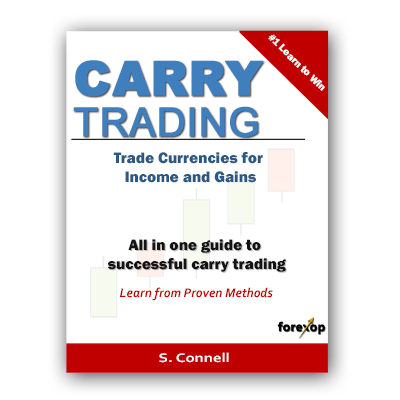 Trading with the dominant trend can be a less risky proposition. That means trading the bear market rallies, or upswings when the market is trending lower. A hanging man in this scenario can mean a brief bullish swing is coming to an end. The reliability of the hanging man is normally close to 50:50 so it is not a highly influential trading signal. Checking the specific market and timeframe is always necessary. In historical forex charts the pattern can sometimes be proven to work better as a buy signal. I have been trying to get a better idea on trading points and the hanging man seems to be one of few with low risk which is great. Nothing is ever solid or guaranteed but having a plan with shifting trends and knowing when to sell vs when to buy keeps you ahead of the game. I think I can do one more time with this strategy and see if it gets me winning. Thanks! I prefer to use hanging man candlestick pattern because it never disappointed me. That’s why I consider it more reliable as compared to other methods. I will keep on following your website to improve my knowledge about various market assessment tools.